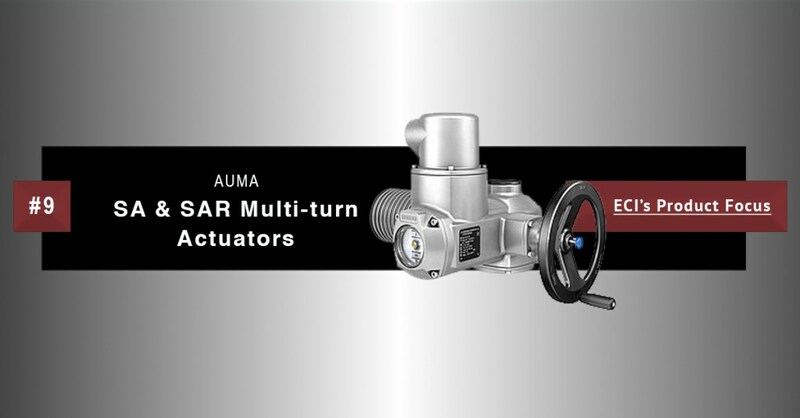 AUMA SA and SAR Multi-Turn Actuators - Eastern Controls, Inc.
For over 50 years, AUMA® has been developing and building electric actuators and valve gearboxes. This has propelled the company to be an award-winning, industry leader. Users from the most diverse industries worldwide (including energy, water, and petrochemical industries) rely on AUMA’s products and services. In compliance with ISO 5210, a multi-turn actuator is capable of withstanding thrust applied to the valve and transmits torque to the valve for at least one revolution. SA-type actuators range for open-close duty and positioning duty are rated for class A and B or types of duty S2 – 15 min. Modulating actuators of the SAR range are rated for class C or types of duty S4 – 25%. Both actuator types can be combined with various controls from simple OPEN-CLOSE control to the micro-controlled version with logging of operating data. SA multi-turn actuators are available for both open-close and modulating duties and are also approved for use in potentially explosive atmospheres. This combination can thus be used in technical process plants of various sectors including water management and power plants. Multi-turn actuator/gearbox combinations are supplied with improved enclosure protection IP68 per EN 60529. During continuous immersion, the actuator can perform up to ten operations. To learn more about AUMA’s SA & SAR actuators and other products/services, contact ECI by filling out our contact form and a representative will reach out to you within 24 business hours.